Thorne & Derrick distribute 3M Scotchcast Resins for low, medium and high voltage electrical and cable sealing, insulation, jointing, cable repair, encapsulation and protection – this includes LV 11kV/33kV underground and subsea cables. Resins are used as part of the process to create electrical cable joints for low, medium and high voltage applications. In instances where resins are necessary over Cold Shrink or heat shrink alternatives, such as joining XLPE and paper insulated cables together, or in potentially hazardous areas where hydrocarbon-resistance needs to be ensured, 3M Scotchcast Resins provide a simple and effective solution. 3M’s Scotchcast resins are compliant with health and safety requirements, EU environmental legislation and user safety regulation changes. These include the CLP Regulation (Classification, Labelling & Packaging Of Substances Mixtures), REACH (Registration, Evaluation, Authorisation & Restriction of Chemicals), the RoHS Directive (Restriction of Hazardous Substances) and the CE Mark. 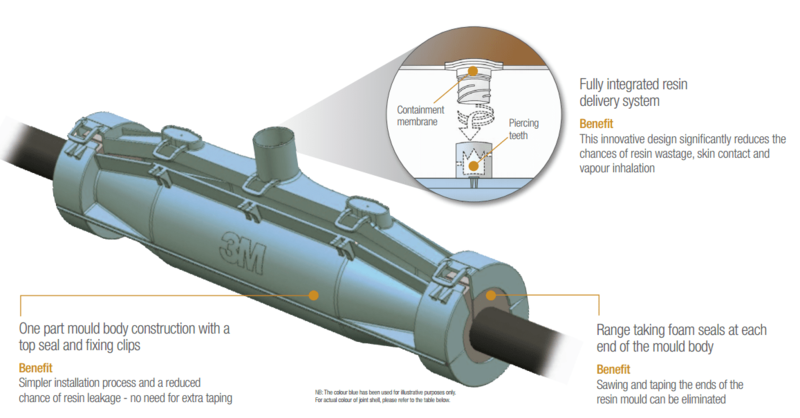 3M resin reduces changes of vapour inhalation as well as skin contact by the unique two part resin bag which ensures the correct measurement of compound and hardener are mixed thoroughly and safely. Complimenting the resin designs are 3M’s Scotchcast low voltage resin cable joints which eliminate the need for sawing and taping of the ends of the resin mould through the range taking foam seal at the end of the mould body. Firmly grasp the flat side of the bag near the centre barrier, while pulling the sides of the barrier apart and rolling the sides of the thumbs through the barrier. Break the barrier all the way across to the side seals. Before using Scotchcast Resins manufactured by 3M Electrical read all Health Hazard, Precautionary and First Aid statements found in the Material Safety Data Sheets (MSDS). 3M Scotchcast physical features also make the resins suitable for non-electrical, general use applications including adhesives and sealants. 3M Scotchcast Resins for power cable jointing, cable splicing, cable sheath jacket repair, electrical insulation, void filling – hydro-carbon resistant resins (resists gas, oil, chemicals for hazardous area Zones 1 and 2 according to ATEX Directive), flame retardant, seawater submersible resins, fire resistant resins, re-enterable resins and LSF (low smoke fume) resins. Resins for low and high voltage cable jointing, protection, insulation and repair – please contact Thorne & Derrick. 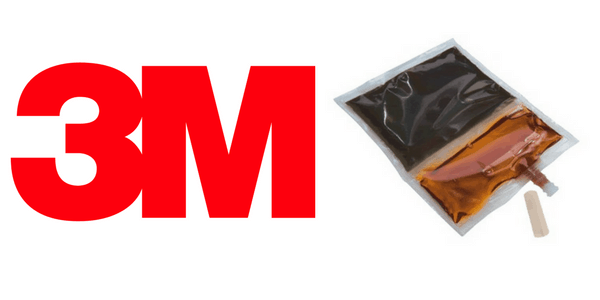 ➡ Should you require customer service or technical support to specify and select the correct resin please contact us – view the full range of 3M Scotchcast Resins below.